How was Saint Francis University this past season? We were 2-9, I red-shirted this year, the team struggled, but it was a great experience for me. What is difference between high school football and college football? The time you put into it and the meetings. All day and all night is about football. You have to put a lot more time and dedication into the sport. It’s all about the game of football. I heard you are switching schools, why and which school are you attending? I’m taking the junior college route. SFU was not the right fit for me. If I’m going to spend 4 or 5 years at a school I want to be happy. But Erie Community College will help me obtain those offers for me to attend another Division 1 college in the future. What do you have to do to prepare yourself for this upcoming season at ECC? Do what I have been doing. Working hard on and off the field. Doing CTC and Next Level Conditioning at Monroe County Crossfit in Rochester and there is one in Buffalo so I will be there working out getting bigger, fast, and stronger. But overall just working hard in this off season and out working the competition will help prepare me. What is your future goal for the next 10 years? The next 10 years from now I will be in the NFL thats plan A, however I do have a plan B going into my careers of communications and marketing that’s want I want to do for my future goal. 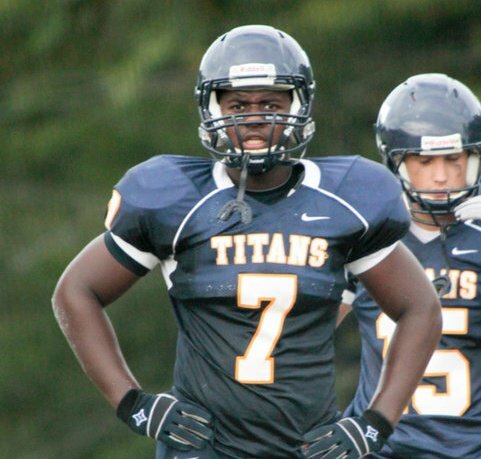 His last high school football game for the Webster Thomas Titans was played well over 4 months ago, and after a long recruiting process filled with many college visits, and conversations with multiple college and prep school coaches, Rod Stevens, can finally prepare for the next phase of his life. Stevens has accepted a scholarship offer to play college football at Div. 1A A St. Francis University under head coach Chris Villarrial. Stevens is listed at 6'1, 230lbs, and can play multiple positions, such as DE, OLB, and H-Back. But says his strengths lie in a 3-4 defensive scheme. 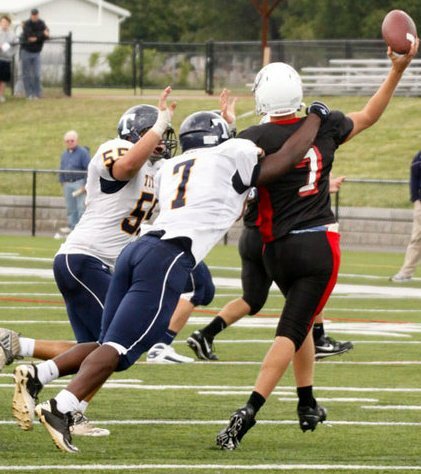 "In high school my teamates compared me to James Harrison of the Pittsburgh Steelers, we are not big tall guys, but when coming off the edge in a 3-4 it combines the power and explosivness of a defensive end and the speed and agility of an OLB". His stats: 70 Tackles(18 for loss), 5 Sacks, 2 Forced Fumbles, and 2 Fumble Recoveries. Those are very impressive numbers, and Stevens will look to build upon his football skills at St. Francis along with fellow area recruit Calvin Bain (East H.S.). "I'd like to thank my mom, my friends, and my grandfather. The community support base I have, is always in my corner". Coach Hopkins and the staff at CTC Changing the Community, have really helped my footwork, and speed this off-season. 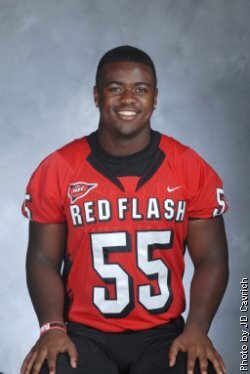 I also train in the weight room almost everyday with longtime friend and Rutgers bound athlete Quentin Gause." Says Gause's uncle and trainer, Kayla Gause have been very instrumental in the recruiting process for not only Stevens, but many other area kids. "Coach Gause, and coach Hopkins are working together to help build athletes up in our entire area. Rochester is not really known as a hot spot for football, but that is slowly changing starting with the class of 2011". 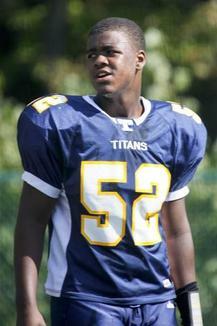 Beyond Athletics congratulates Webster Thomas Titans standout Rod Stevens, and his entire family. Good Luck at St. Francis University!